Kerala State Electricity Board - KSEB is one of the best power utilities in India and the driving force behind development of the state of Kerala. KSEB has providing Electricity related services like as View Electricity Bill, Pay Electricity bill online (Quick Pay ) , Apply For Electricity New connection online, Register Complaint, Tariff Calculator For their consumers, through Department official website http://kseb.in, inthis article we showing how to View & Pay KSEB Electricity Bill online. We hope this article very helpful to who try to Pay kseb online bill .follow the below instruction for kerala electricity bill payment . How to View KSEB Electricity Bill online ? People who lost their Electricity bill hard copy, KSEB has given opportunity for Consumers can View their Latest Electricity bill online. follow the below procedure for View KSEB bill online. People can First Visit KSEB website. Now Electricity will be displayed. 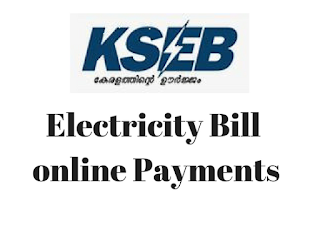 How to Pay KSEB Electricity Bill online ? Pay KSEB Electricity Bill online using Net banking, Credit/ Debit cards.to visit LT online payment through KSEB Web Self Services Portal . 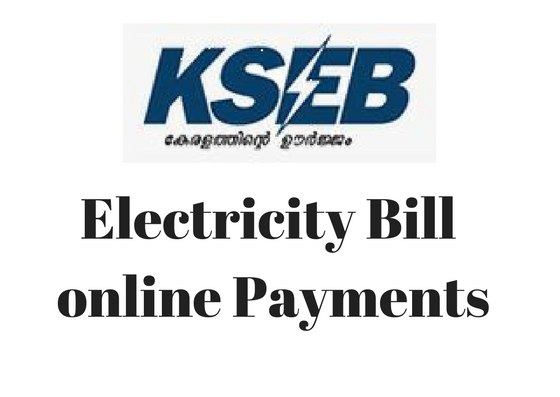 How to Pay KSEB HT/ EHT Bills online ?